"This is a double-crusted pineapple pie. 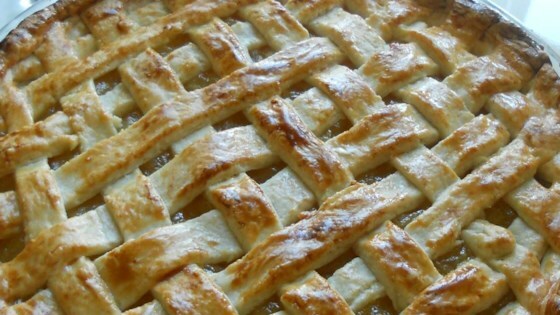 Mix a teaspoon of lemon zest into the pastry for an unforgettable crust." I used pineapple tidbits instead of crushed pineapple. I think it's better this way than it would be with crushed pineapple because you can actually bite into real pineapple pieces. I only made the filling part of this for a coconut cake..and it was FABULOUS!!! I am NOT a good baker and this pie turns out perfect every time! It is my husband's favorite dessert and he doesn't even like sweets. So easy to make.